For now, we only need to focus on number 2, Coincident Indicators. Coincident indicators are a type of economic indicator and these types of indicators coincide with current economic activity or events. They are also in line with the current pace of economic activity. Coincident indicators change at approximately the same time as the whole economy, thereby providing information about the current state of the economy. There are many coincident economic indicators, such as Gross Domestic Product, industrial production, personal income and retail sales. The whole figure is very volatile and tends to move the markets. This part will be based on the NFP, Non-Farm Payroll report, which is arguably the biggest data on the economic calendar every month. It’s highly anticipated by traders and a great tool for day traders to benefit from. NFP is an economic figure. Non-Farm Payrolls, is reported monthly by the US Bureau of Labor Statistics to give a timely glimpse into employment changes inside of the United States. Overall, this report can give traders insight into whether the US economy is expanding or contracting while directly influences the decisions of policy makers such as the US Federal Reserve. The figure analyses approximately 80% of the American work population, which can be seen as an assessment of one the biggest (economic) powers in the world. The report can be seen as a benchmark for all global economies which makes it so important. Excluded from this report are government employees, farmers, household employees and people working for non-profit organisations. The NFP Is an A* rated figure – A category which is set only for the best news releases. The report is released on the first Friday of every month – 13:30 GMT (London) or 08:30 ET (New York). Some of these methods are better than others. We will analyse which ones are to be traded and how to handle them. On top of picking a method to trade upon the NFP a trader must know that they are ready to trade in high volatility. This isn’t the everyday type of trading so in some senses it is learning how to trade on a deeper level. Most Fridays are very liquid, but not the first Fridays of the month. NFP day usually sees trading to be very limited. Trading activities usually start to pick up after the NFP report was released, so after 13:30 GMT. This means we only really see half a day of trading and trading during this half-day period is usually determined solely by the NFP figure. Trading before the figure was released is seen pretty much as an amateurs move which should be avoided. While you wait for the report to be released you can prepare yourself what you will be doing once the figure has been released. 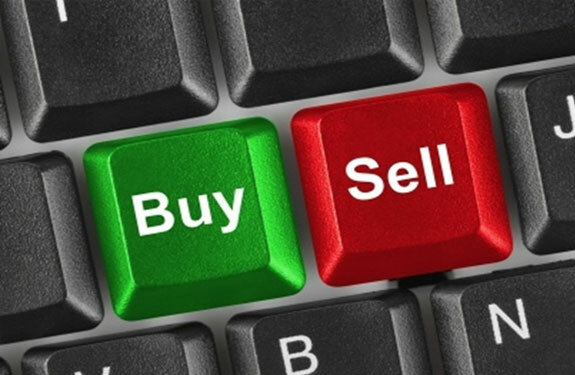 For example, pick the financial instrument(s) you want to trade, mark up your levels, analyse potential profit and loss zones and determine how much you are willing to risk. Then just sit tight and wait for the release. Again, you shouldn’t trade until the figure was released. Sometimes the market may start moving in advance but you should still wait until the market data is available because prior moves can become very regrettable. Most importantly: get ready for highly volatile market conditions. 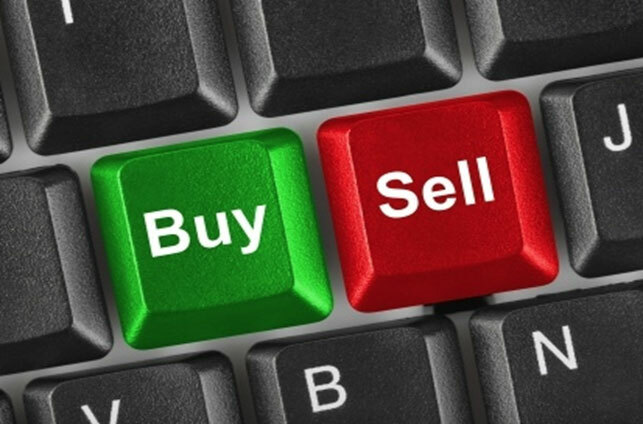 This type of trading is usually what most traders prefer and it is also the most anticipated way. It means trading the release of the figure as it hits the market. Just after 13:30 GMT the price will either rise or fall rapidly, typically at least 30 pips or more within a couple minutes. The bigger this initial move the better for day trading purposes. You shouldn’t go to a website and trade the figure by “pressing F5 consecutively”. This is not trading the live figure. By the time you have finally been updated by the website, the opportunity to trade the figure live has come and gone. Listening to a live feed of some sort is how traders best trade the figure. Many different sources provide live feeds for most news and it’s about finding a viable source. Many modern (online) brokers provide these types of services and you should definitely take advantage of them if your broker of choice gives you the opportunity to “tune in”. You should have a take profit order set or the level you are exiting. You should further have a stop loss order set up because the market may move so quick that you have no time to close out and you lose more than you planned. This is another smart method of trading the NFP, especially if you have already taken a large amount of pips off the table. Early NFP traders are usually happy with what they take from the release of the report, but more experienced traders gear themselves for round two. After the figure is released, it becomes obvious in most scenarios which way the market is heading. As this is pretty much the start of trading on that particular day, it means the market should trend well after the figure. Placing yourself in the position to trade these trends is very simple for someone who knows what they are doing. Look at the previous levels you made and let that be the starting point of your trading. Since the figure is a US figure, trading something which is based solely on the US would be best. The S&P 500 index, which is an index of American instruments, is what many traders like to trade in this scenario. You can trade currencies as normal, especially Dollar pairs of course, but since they are paired with another currency this may result in less volatile movements at times. However, The EUR/USD is the most heavily traded currency pair in the world, and therefore it typically provides the smallest spread and ample price movement for making trades. 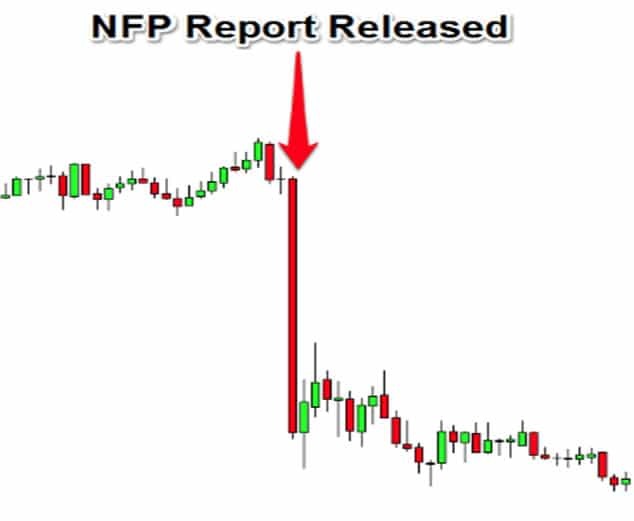 Some experienced traders swear that there is little reason to day trade another pair during the NFP report release.